What lofty and enduring dream could sprout in us when we have become accustomed to squalor, habituated to decrepitude, made our peace with detritus? What hope is there for us when we fetishise Dubai and flaunt our expensive Louis Vuitton handbags, and yet fail to realise that our country has become—is—an endless open toilet, overflowing with septic sludge? I’ve known for a while that Nigeria was in a sorry shape, but not even that knowledge prepared me for a side of the country I saw when I arrived on January 3 for a ten-day visit. The last time I traveled by road from Lagos to my home state of Anambra was in 2002, when my wife and I were Fulbright fellows teaching in Nigeria for a year. On this recent visit, I had little choice but to go by road. Friends and relatives had warned me that flights from Lagos to Enugu were prone, at best, to interminable delays, and at worst to incessant cancellations owing to the harmattan. The best bet, I was told, was to make the trip by road. So my younger brother and I hired a Toyota Siena, one of the most popular vehicles in Nigeria for long commutes. I’m willing to apologise for the bluntness of this assessment, but there’s no deodorising the reality: the ride was a nightmare. Before we set out, I had instructed the driver to take it easy. I made it clear that my brother and I were in no particular hurry, that what we sought, above all, was safe, cautious driving. The instructions fell on deaf ears. In typical bravado, the driver told me he was not really a “driver.” He was married to a Togolese woman who lives in Belgium with their two boys. The Belgian authorities had deported him to Nigeria on account of some infraction he seemed in no haste to divulge. His wife was processing papers to enable him to rejoin his family, so he was, in the interim, just “managing” with the driving job. Well, the short of it was he drove as if he were in an Indy 500 contest. It was all speed and all recklessness. He seemed to think any other driver who passed him—overtook him, as we say in Nigeria—were questioning his very manhood. And to reassert his manhood, he would give chase, create a veritable speeding derby, determined to reclaim the speeding title. I was awfully sleepy, but I knew that to fall asleep was to abandon my fate to this maniacal speedster. Countless times, I had to warn him—often by shouting at him—to slow down, and to refrain from cutting in front of his speeding adversary. Yet, if our driver behaved like a crazed speeder, compared to many other drivers, his craziness seemed of a much milder variety. 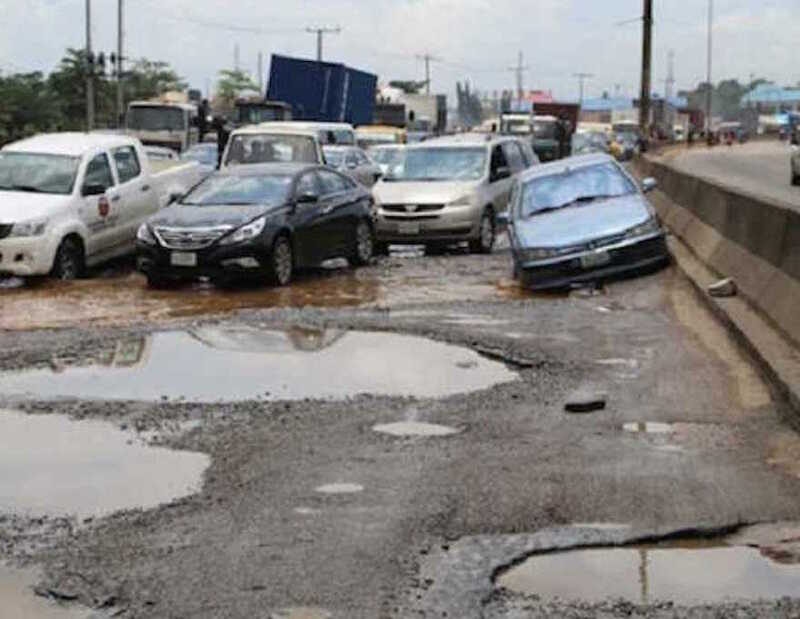 Driving in Nigeria is an exercise in daredevilry. I hardly exaggerate here: the experience was akin to watching hundreds of clinically insane men and women who had been handed licenses and cars—and then unleashed on the road, empowered to suit themselves. To observe traffic in the country is to behold anarchy and chaos unfold before one’s eyes. Every sensible driving code is disdained, tossed aside. To describe the speeding as excessive is to equivocate; too many drivers seem on a mission to commit vehicular suicide and homicide. Many people assured me that the highways from Lagos to Anambra were now in excellent condition. I found patches of the road to be good, but the word that sums up the overall condition is: awful. But drivers were the most potent, terrifying factor. Too many drove too close to the cars ahead of them, even though they couldn’t see what was in front—and vicious, tyre-wrecking potholes frequently ambushed cars. I confirmed a sneaking suspicion: that Nigerian driving mirrors the country’s malaise, its pathology. At the slightest appearance of stalled traffic (say at the Lagos-Ibadan expressway), many Nigerian drivers responded in a counter-intuitive manner. If drivers acted with restraint by staying in line, everybody’s vehicle should be able to move on in ten or so minutes. Instead of which too many drivers attempted to out-maneuver others, to get ahead of everybody else. On a two-lane road, suddenly, to one’s amazement, four or five lanes would be formed. Often the ensuing gridlock would grind all movement to a halt, leaving everybody stuck for hours. It reminded me of the disastrous price the country has paid for our politicians’ and bureaucratic elite’s depraved, boundless greed. That greed has sapped the country’s vitality, depleted its resources, left it a shell, and cast most of its people into abject impoverishment and forlorn resignation. For me, traveling by road was a chastening, despair-inducing experience. One beheld Nigeria in its fulsome ugliness. The roadscape and landscape were marred, cheerless. From Lagos to Anambra, the roadside was a litter of plastic bottles, plastic wraps, discarded black plastic bags, orange rinds, banana peels, etc. No inch of space, from the journey’s beginning to its termination, was spared the plastic infestation. I had never encountered blight on this scale and in such unrelenting manner anywhere else in the world. But the assault wasn’t limited to the ubiquitous invasion of plastic. The carcasses of cars, trucks and tankers, many of them burnt, left the impression of battle zones—and compounded the eyesore. Numerous times I saw fast-moving fires burning up the roadside grass, shooting tiny sparks and plumes of vapour. The fires left their grotesque marks on the roadside, deepening the sense of gloom and ugliness. Our driver said local hunters set most of the fires. The aim? To dislodge small game from holes and other hiding spots! What kind of country allows such backward practice, such mindless endangerment of the lives of commuters on highways plied by fuel-carrying tankers? A common sight: people peeing or defecating beside the road or just a few feet off, openly. The picture struck me: we have been reduced, and have accepted our reduction, to animal-like status. We have allowed our political and bureaucratic thieftains to steal our humanity away, to strip us of what it means, at bottom, to possess human dignity, and to animalise us. And how do we respond to this affront? We garland our dispossessors with flamboyant chieftaincy titles and festoon them with national honours. We reserve front seats for them in church and unctuously pledge to them—contemptible gluttons that they are—that we are fully loyal! Each mound of trash emitted a vile, dizzying stench. Yet, I saw bereft Nigerians who had scaled the bursting, steamy hills of waste, scavenging for some morsel of food to sup on, hunting for some tossed, varnished treasure. I came out of Nigeria with a heavy heart, a certain sense of the gravity of our crises. Why is there no outcry about the blight, much less action? Where was the demand for an end to the conquest of the Nigerian space by “pure water” plastic? Traveling by road, I saw Nigeria in a new way. The portrait, unflattering, left me deeply dispirited.